Chair of CESA John Whitehouse has just completed the CFSP (Certified Food Service Professional) training course. 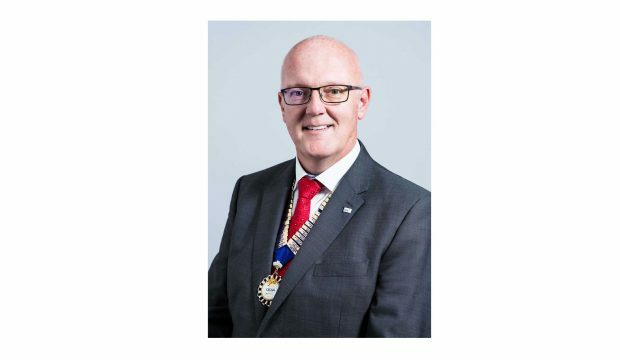 He joins well over 500 UK foodservice industry professionals with CFSP accreditation – and he wants to encourage other senior managers to follow his lead. CFSP is becoming widely recognised as an accreditation that demonstrates the knowledge, expertise and professionalism of the holder. However, CESA has found that, while the training is very popular with middle management, some senior managers in the foodservice industry seem reluctant to put themselves on the course. “I can understand the feeling,” says Whitehouse. “A key issue is time – most of us are time-poor and doing the CFSP course eats into it. It was certainly a reason I held back. But you know what? If you want to make the time, you can. There’s also maybe the thought that we know it all already (trust me, we don’t), and perhaps a little bit of embarrassment that we haven’t done it before – and the fear that we may not pass. “Having completed it I can honestly say that the course is a real eye-opener – it’s given me insights into the workings of the industry that will be hugely valuable in both my work and my role in CESA. I only wish I’d taken the plunge sooner. As well as being chair of CESA, Whitehouse is managing director of First Choice Group. Having taken the CFSP challenge he’s now encouraging his colleagues to do the same. “I have four of my senior leadership team signed up for courses in June and December, with more to follow,” he says. CFSP is run by CESA and is accredited by the University of West London. Its objective is to support, develop and increase levels of knowledge within the industry by giving foodservice professionals a complete understanding of how catering businesses and commercial kitchens work. The next CFSP seminar and exam will be held on the 20th and 21st of June at SMEG UK in Abingdon. For information on CFSP courses visit www.CFSP.org.uk or contact CESA.